A week ago, I was in Caracas, at an economic conference organized by the Centro Internacional Miranda on the responses from the South to the ongoing crisis. There, I had a chance to meet president Hugo Chávez personally. Briefly, of course. At the opening of the conference, Chávez gave a two-hour speech. Extremely interesting. The highlight of his speech (if you ask me) was a vivid description of the way in which his government managed to get Venezuela’s central bank to disgorge a portion of the country’s international reserves for economic and social development. Quite a story! Just imagine that, back in 2001, Venezuela had its international reserves parked at, inter alia, Lehman Bros. — like, I imagine, Mexico did until the financial giant collapsed. In a Latin American country (as in an Asian or African country), with their high levels of poverty and low indicators of social development, it is self evident that the highest return on that money or liquid wealth is — of course — on the people themselves. Or, as economists call it, on their human capital: health and education. And social equity. Social equity also, because existing inequities make their political and social life extremely unstable and wasteful of human welfare. 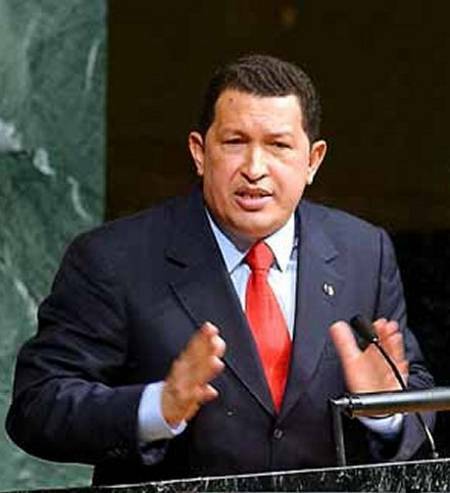 So, revolutions a la Chávez’s (or Correa’s) are the most sensible economic policies any unbiased economist could think of! But, isn’t it true that using fiscal policy to transfer resources to the poor is inefficient in principle? Why? Compared to what? “Free” markets? How is it inefficient in principle? That money belongs to the nation of Venezuela to begin with. If, trough legitimate political processes, participatory democracy, those countries give themselves a government (like Chávez’s or Correa’s) that takes funds from the commons parked in financial assets and put them to higher return uses for the benefit of the commons, how is that inefficient in principle? I’d argue that, even if a government like Chávez’s and Correa’s taxed the rich progressively (as opposed to using resources that are already public) and used revenues thus obtained to fund programs of social development, those policies would be entirely justified on the grounds of efficiency, let alone equity. But, isn’t this type of fiscal policy inefficient in practice, as it fosters corruption and waste? Compared to what? “Free” markets? Isn’t there waste of human welfare in every market failure, a vicious case of which we’ve been witnessing as of late? So, why don’t they argue in favor of reducing the waste in the transference mechanisms or such? No, their argument is against using public money to help the public. That’s what underlies stories like a recent one published in the New York Times magazine about how PdVSA is being gutted out by Chávez. (I won’t link it, but you can google it if you want to get angry.) Therefore, they are in favor of using public money to help small groups of people who are already immensely rich. But, of course, economic debates are not only — or mainly — about logic or facts. They are also (mainly?) about special, vested interests trying to appropriate privately the resources of the commons and using discourse, economic or political, to pull a fast one on the public. That is why we need to belabor the point. For regular people not willing to allow the special interests to manipulate them ideologically, logic and facts should have primacy. Previous And the Nobel goes to… Paul Krugman!